I’ve got to be honest with you: I went into Wonder Woman with a deeply cynical mind. I couldn’t help it. After Batman Vs Superman and Suicide Squad left me cold and Gal Gadot didn’t resonate with me, I was left disconnected. But Wonder Woman surprised me. 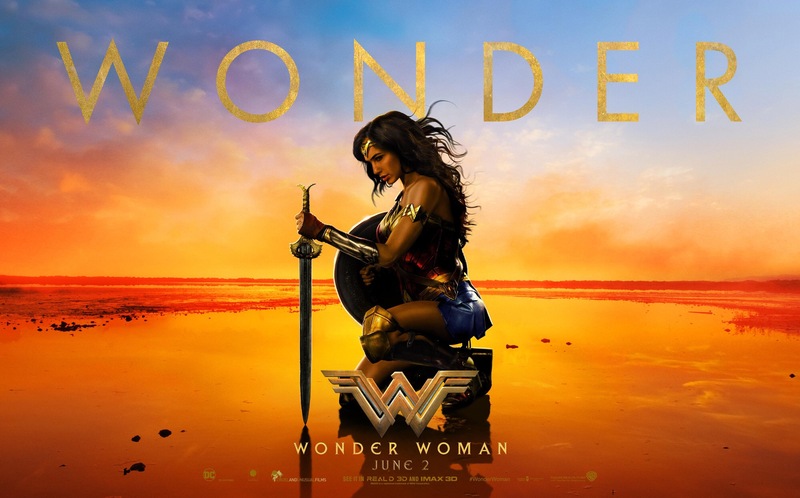 It’s storyline is focused, Gal Gadot had transformed before my eyes into a hero you can get behind and the film’s comedic and adventure tones worked beat for beat. It is completely different to the DC catalogue that came before it. The action is certainly slick, showcasing rousing choreography through use of slow-mo and clever use of camera work. The editing complements this by opting for longer shots and having none of that rapid fire editing you’d find in a Resident Evil flick. Gal Gadot, I think, is terrific in this. She really embodies Wonder Woman in a way that BvS didn’t have time to allow and she gives the character a heartbreaking naivety that comes into play with the harrowing WW1 sequences. But beyond that, she throws her heart into some of the more emotional sequences and her comedic timing, in the lighter moments, is sweet and quite funny. Chris Pine as the WW1 soldier Steve Trevor is wonderful support as Diana’s link to humanity, but also individually. There’s warmth and humour to the role but also a terrible sadness when it comes to explaining the cruelty of humanity to Diana. Together, Pine and Gadot work beautifully off of each other and the script smartly gives each character a moment to shine on their own and together, not letting one aspect or the other outweigh screen time or importance. I will say that the last act of the film kind of loses me. I’m getting to the point where smackdowns saturated in CG are becoming a bit tedious and though Wonder Woman’s smackdown has an emotional anchor to the story, it still doesn’t really beat the character work that came before. But seeing as this IS a super hero film, that kind of thing is part and parcel. And it’s certainly interesting on a thematic level, I just found it to be a bit…well, boring. Nevertheless, Wonder Woman is a rousing adventure film that should please fans and viewers of the DC world alike. It’s script is great, it’s main performances are terrific and Patty Jenkins directs the hell out of it. Someone at DC, keep her on board. I hear you. After BvS and Suicide Squad, I didn’t think I’d be buying another ticket for the DCEU until I knew for sure that I’d be getting worth my money. I haven’t bought a ticket for WW yet, because it hasn’t been released here yet, but the reviews have made me optimistic. I thought Gal Gadot was the best thing about BvS, and her theme was the bomb! I’ve got high hopes now! Great review.